Construction science prof Kim Carlson and ICU participants. A branching multi-story tree sculpture, dining patios, shady, turf-covered outdoor napping areas and tranquil water features were among the many unique and playful design solutions created by multidisciplinary student teams tasked to reimagine a Langford Architecture Center outdoor space as part of the Feb. 23 – 25 Harold L. Adams Interdisciplinary Charrette for Undergrads (ICU), a Texas A&M College of Architecture design competition. 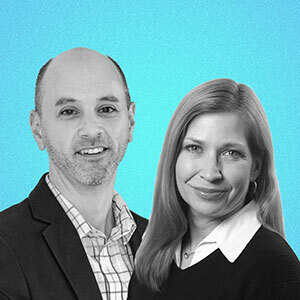 Registration is underway for the 2018 Rowlett Lecture spotlighting Hines, one of the world’s leading real estate investment, development and management companies. The event is slated for 1:30 – 4 p.m., Wednesday, March 28, at the Presidential Conference Center at Texas A&M. AIA Gold Medalist Antoine Predock, one of the world’s premier architects whose buildings have earned universal acclaim, will discuss his work Monday, April 16, 2018 in Preston Geren Auditorium on the Texas A&M Campus as part of a lecture series hosted by the Department of Architecture. 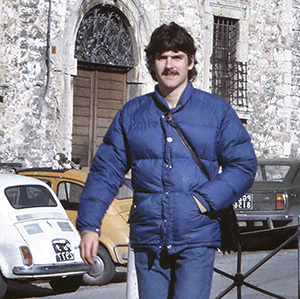 A former Texas A&M environmental design student who was transformed by a single 1982 semester spent studying abroad in Italy is creating a scholarship to help fund similar transcendent, career-benefitting educational experiences for today’s Texas A&M College of Architecture students. 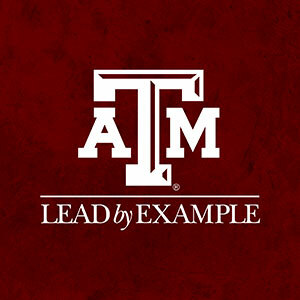 With new gifts this month from College of Architecture Development Advisory Council members Harold Adams '61 and Bill Peel '74, the college passed the two-thirds mark toward its $30 million goal in Texas A&M University’s “Lead by Example” comprehensive campaign. STAAR Description Format (SDF), the novel technology developed by Francis Quek, professor of visualization, converts any portable document format (PDF) to a version the blind can read on an iPad. 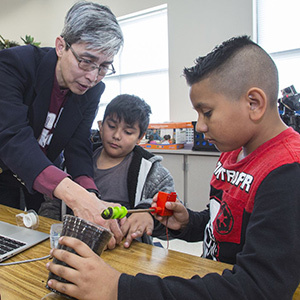 With a National Science Foundation grant, Texas A&M Professor of Visualization Francis Quek has developed technology that allows people who are blind to access more literature with increased command over their reading experiences. Texas A&M construction science professor Kunhee Choi is working to lower the cost of highway construction bids by optimizing data-driven construction scheduling methods in advance of a $1.5 trillion federal highway infrastructure rebuilding plan proposed by the Trump administration. 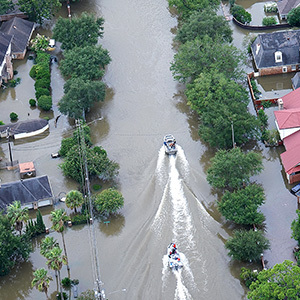 A study by Philip Berke, professor of landscape architecture and urban planning, reveals hazard mitigation plans in cities such as Houston are weak and underfunded. 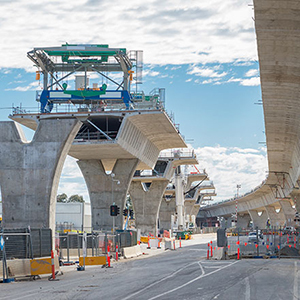 Examining 175 hazard plans, the researchers pinpointed the most effective long term strategies for cities' growth. 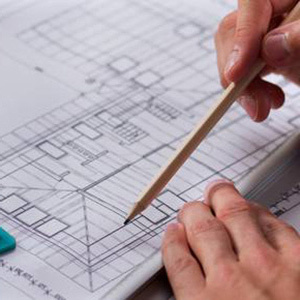 Faculty and graduate student researchers in the Texas A&M College of Architecture have developed a new method to calculate and standardize proposed health care facility space requirements that can overcome the significant limitations of previously established procedures. Teacher, firefighter and professional athlete used to top the list of what students at Neal Elementary in Bryan wanted to be when they grew up. But in the past couple of years, Neal students in a Texas A&M study began to include variations on "engineer" in their list. 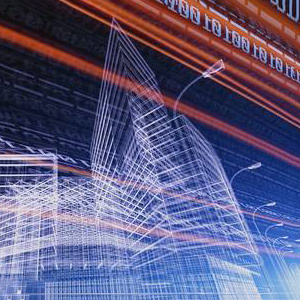 Data security, automation, and a rising demand for digital modeling are three technology trends impacting the building industry in 2018, said James Benham, guest lecturer of construction science and CEO of JBKnowledge, Inc in the sixth annual report survey. 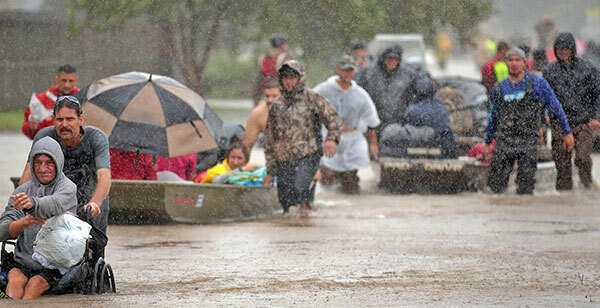 Houston residents evacuate their neighorhood as Harvey stormwater rises. 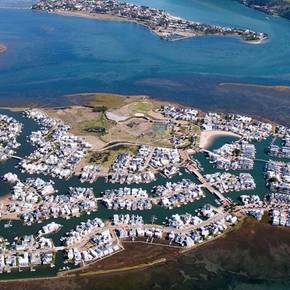 In the wake of Hurricane Harvey, two Texas A&M groups have teamed up to launch the Community Resilience Collaborative, a program aimed at bolstering the resilience of the state’s coastal communities to natural hazards and at restoring their ecosystems. 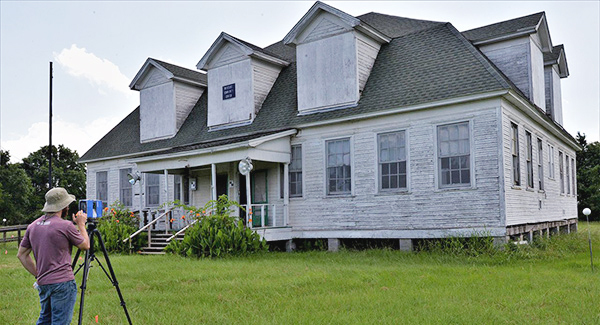 Ben Baaske prepares to scan the Wheelock Schoolhouse. 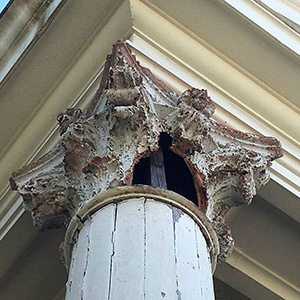 Using tools like terrestrial laser scanners and drones, a team of architecture students, working with the College of Architecture’s Center for Heritage Conservation, developed detailed images and 3-D models of Bryan's historic Temple Freda, the oldest religious building in the city. 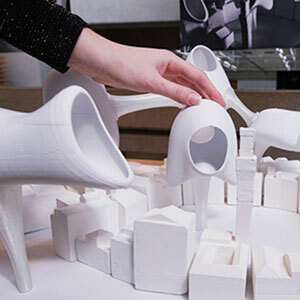 First-year environmental design students drew inspiration from “The Jetsons,” Batman, and other sources to create elevated urban environment atop historic Siena, Italy, offering a glance at how the centuries-old city could be rejuvenated for future needs and increased populations. A student paints in a visiting artist class. 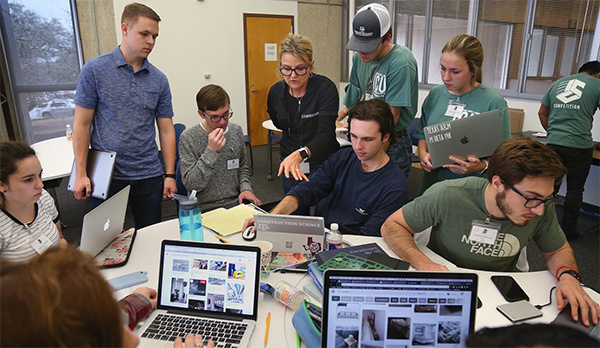 Texas A&M is one of the top illustration and drawing schools in the country, according to a new ranking complied by The Art Career Project, an online resource for artists. 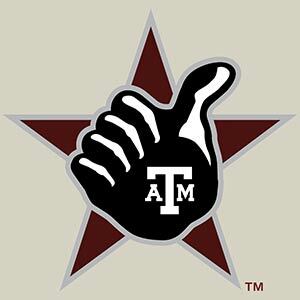 On the list, “Best U.S. Schools for Illustration and Drawing 2018,” Texas A&M is the state’s top school, the nation’s second-highest ranked public university, and 18th overall. 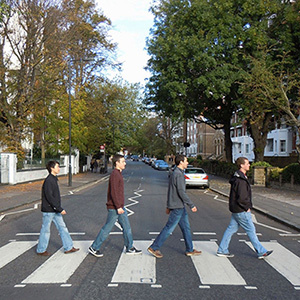 A high impact, transformational learning experience awaits construction science students who participate in the Texas A&M London study abroad program, where students enrich themselves academically and culturally as they learn from British educational, industry and legal professionals. 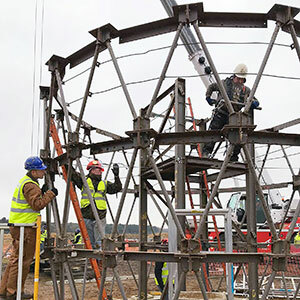 Texas A&M construction science students studying abroad in the UK battled chilly, windy, rainy weather as they built scaled-down replicas of two iconic European buildings at Constructionarium, a 15-acre site in northeast England. Technology’s growing impact on the building industry was explored at the JBKnowledge Contech Roadshow, a daylong Department of Construction Science event featuring interactive discussions, tech demos and the public debut of the Department of Construction Science's enhanced BIM CAVE. 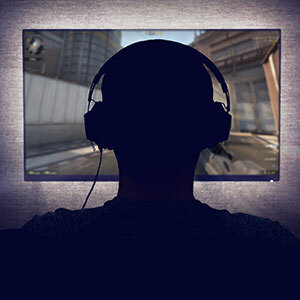 Video games are an ideal medium to captivate an audience because they offer full interactivity. 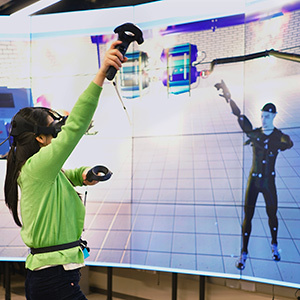 That can have big implications for education: Just ask Texas A&M University, which wrapped up its first ever game-based course this fall, and plan to offer two more, in art history and calculus, in the spring. Ahmed Ali gives a talk on design using waste from industrial manufacturing. Ahmed K. Ali, an assistant professor of architecture at Texas A&M University, earned the Architectural Research Centers Consortium’s 2018 New Researcher Award, a prestigious accolade bestowed annually to an emerging scholar. 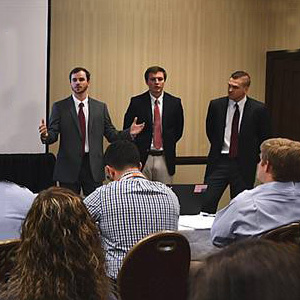 Construction science students netted two first place honors at a February 19 undergraduate construction management competition at the Dallas Crown Plaza hotel, hosted ​by the Associated Schools of Construction and TEXO, a group of North and East Texas general contractors. The transformation of more than 2,500 milk jugs into “Milky Way,” a luminescent artwork that adorned the Brazos Valley African-American Museum patio, earned Jim Titus, supervisor of the College of Architecture woodshop, an honor for leading the team which crafted and ​installed it. 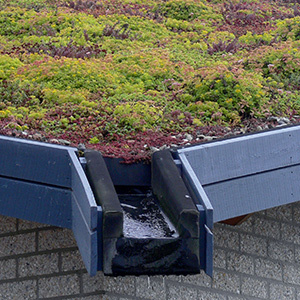 For significant scholarly contributions in landscape architecture and urban planning, Robert Brown, a professor of Landscape Architecture and Urban Planning, was awarded the title of university professor emeritus by his former employer, The University of Guelph in Ontario, Canada. 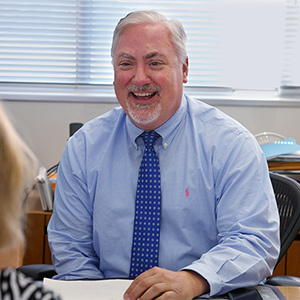 For exhibiting the highest standard of staff excellence, Dave Wentling, director of the Office of Student Services at the Texas A&M College of Architecture, will receive a 2018 Distinguished Achievement Award from The Association of Former Students. 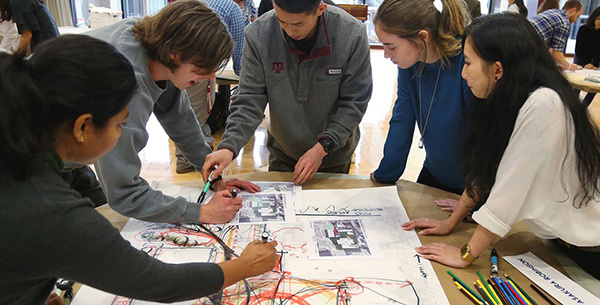 Students and design pros collaborate in a charrette. 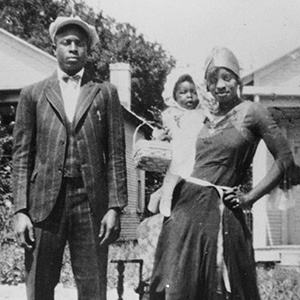 The preservation of Texas’ historic African-American communities, repositories of black heritage and culture that are increasingly imperiled by natural and economic threats, was the focus of the 2018 Texas A&M Center for Heritage Conservation’s Historic Preservation Symposium. 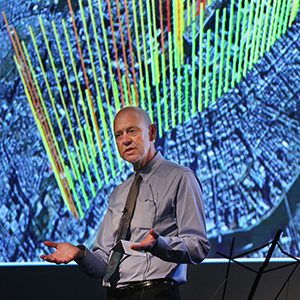 Visionary, “green,” award-winning land development projects created by Chris Mulder, an Outstanding Alumnus of the Texas A&M College of Architecture, and colleagues at his South Africa-based firm, CMAI Architects, were featured Feb. 9, 2018 at the Annenberg Presidential Conference Center. “Anna Dumitriu and Alex May: Recent Works,” a multimedia exhibit exploring the nexus of art, science and technology through the transcendent work of these two artists, featured at the Texas A&M Wright Gallery. 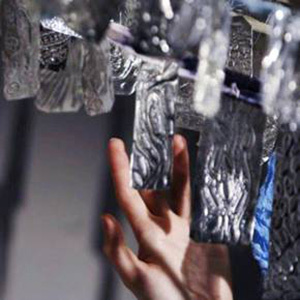 The event included artist-led workshops on microbial art and video mapping. 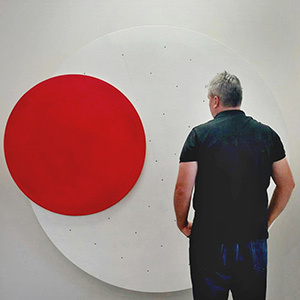 An interactive art exhibit featuring sonic sculptures, kinetic assemblages and mechanized drawing, created by Sherman Finch, assistant professor of visualization at Texas A&M, used audience participation to vary how conceptual work is experienced and celebrate creativity. 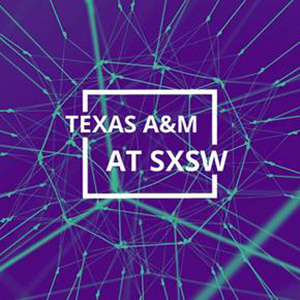 Texas A&M at SXSW, a showcase of university faculty and research at South by Southwest, the annual ​Austin mega-event celebrating the convergence of creative industries, included College of Architecture visualization professors discussing technology’s revolutionary affects on society. Parker County Courthouse, photographed by Charles Davis Smith ‘90. 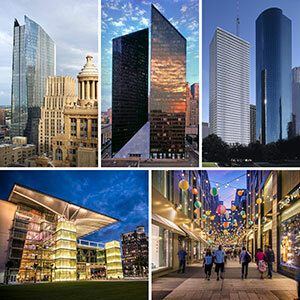 Charles Davis Smith ‘90, an architectural photographer who expertly weaves design training and camera skills into memorable images that illuminate a designer’s thoughts and vision, is Texas A&M’s newest member of the prestigious AIA College of Fellows. 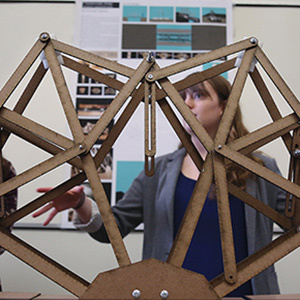 The College of Architecture encourages former students to submit news for its Class Acts reports featuring professional achievements, marriages, retirements, bucket list accomplishments or whatever else they care to share. See what others have been up to and share your own news. William Merriweather Peña and Belgium’s Princess Astrid. 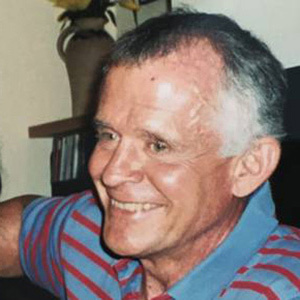 William Merriweather Peña ‘42, one of the Texas A&M College of Architecture’s most revered former students whose legendary architectural career followed a heroic tour of duty in World War II, died in Houston Feb. 10, 2018. It was his 99th birthday. 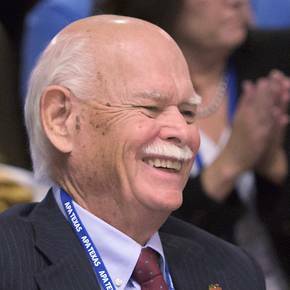 Beloved Professor Emeritus David L. Pugh, who headed of the former Department of Urban and Regional Planning at Texas A&M and helped shape dozens of Texas cities and thousands of minds throughout his four-decade teaching career, passed away Dec. 26, 2017 at 75. 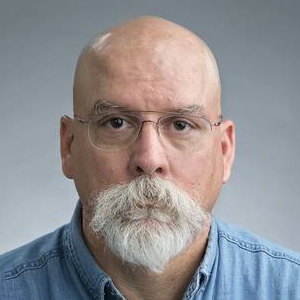 Sculptor John Woolfolk Walker, who inspired students throughout his 30-year art teaching career in his design and sculpture classes at the Texas A&M College of Architecture from 1979-1994, passed away Jan. 19, 2018 at age 79. 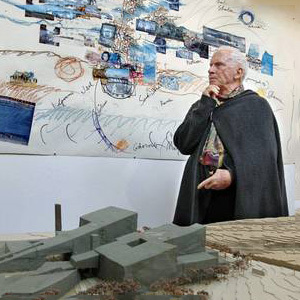 A professor emeritus, he created more than 500 works of art in his life. 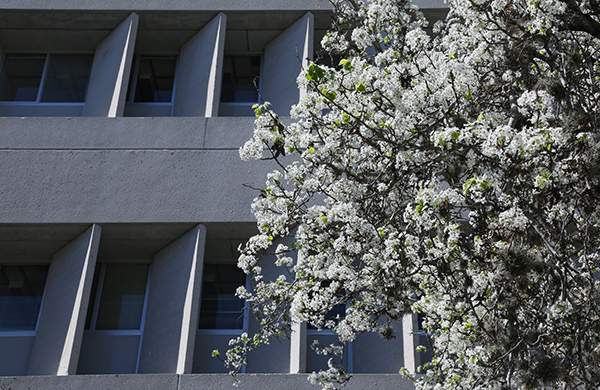 Billowing blooms on a Bradford Pear tree herald spring's approach at the northeast facade of Langford A. The beauty was fleeting, however, as spring rains and a hail storm soon erased the lacy blossoms.